When Parliament House was being built the scene for art photography was very different to the scene now. Now photography has become just another imaging-option within art, and it really only gets public profile as a medium in its own right through a set of annual photography competitions, in which anyone — amateur, professional or student — can take their chances. But, twenty-five years ago, photography was still relatively ‘hot’ as an art medium and, as well as being seen to be publicly accessible, it was also associated with the young and innovative. Rather than today’s large photographic competitions, which are largely funded by the entry fees of photographers themselves, in the eighties corporate sponsorship was very important in offering new photographers their first break, and offering established photographers further opportunities. 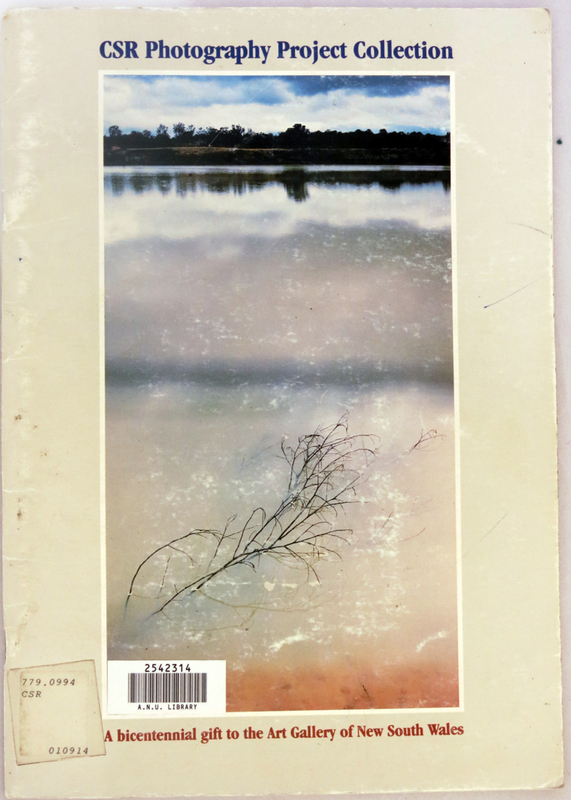 Companies such as Polaroid and Kodak sponsored photographers, but the biggest sponsor of the period was the cigarette company Philip Morris, who aligned itself with the National Gallery of Australia and, through its director James Mollison, purchased 700 photographs by over 100 photographers between 1976 and 1980. Other industries also saw the advantage of using photographers to not only document their activities, but also to gain a corporate shine from being seen to be with-it philanthropists to a young and exciting art medium. Of course photography has always been completely bound up in industry. From the early twentieth century onwards photographers and factories were close acquaintances. Photographers such as George Lewis, who features in the current NGA exhibition of Indonesian photography, was exemplary in importing the visual logic of the portrait studio onto the factory floor. Even before the industrial photographer unpacked his camera gear the machinery had to ‘photograph itself’ by momentarily pausing in its ceaseless whirring so that it would register solidly on the film rather than become a liquid blur. Workers, machinery and lighting were then choreographed, as in a portrait studio, to give just the right impression for the client. As was the case globally, Australian photographers have also always been associated with industry and architecture. 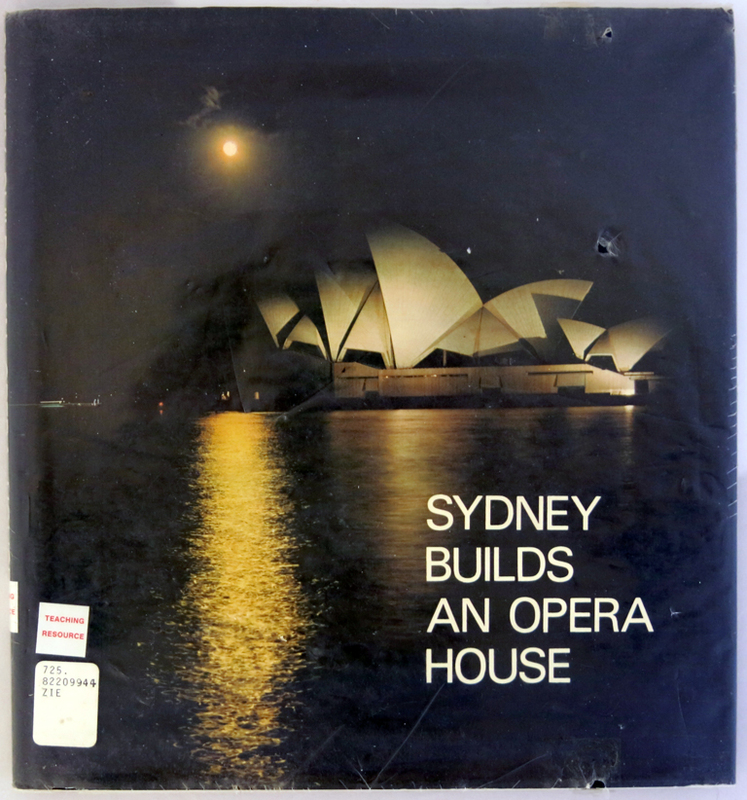 Harold Cazneaux undertook a commission for BHP in 1935; and in 1973 the publisher Oswald Ziegler used Max Dupain’s photographs for one of his celebratory and commemorative volumes, Sydney Builds and Opera House. 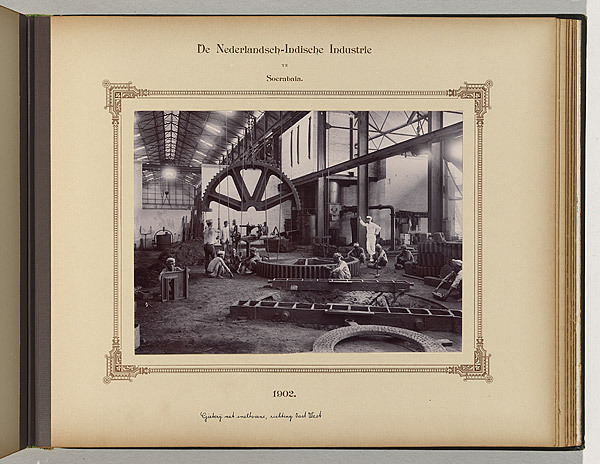 This exemplifies what could be called a modernist-heroic genre of architectural photography, celebrating industry and architecture primarily, and including workers as a function of the industrial process. Workers are certainly present and even celebrated, but they are a figured within the machinery of construction, a human accent to the formal architecture of the image. In this heroic mode it is the historical force of modernity itself which is the generative power, producing the ‘sculptural forms’ of the architecture which define the photograph, which in turn are ministered to by the supplicant workers who provide a fleshy torque to the composition’s hard architectonics. This heroic genre was getting a fair bit of profile twenty-five years ago. 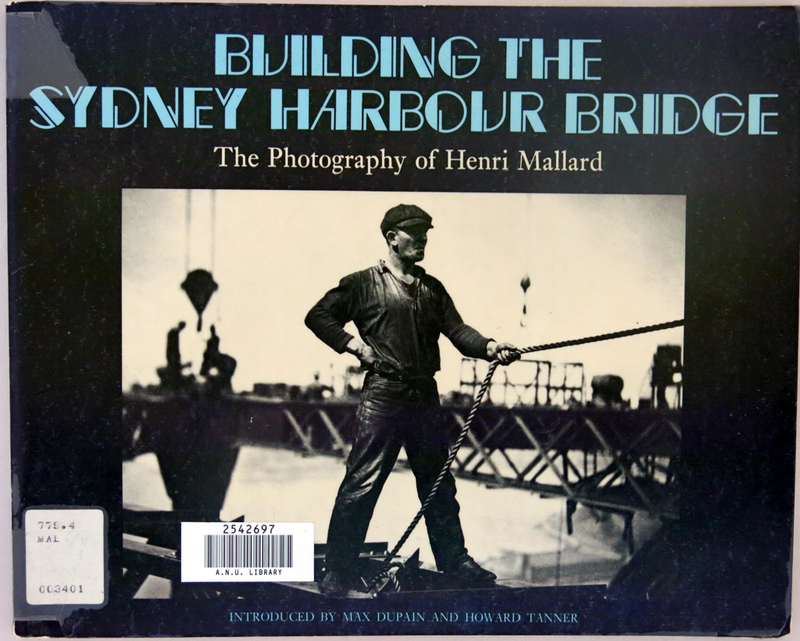 For instance in 1976 David Moore reprinted some photographs taken by Henri Mallard of the building of the Sydney Harbour Bridge for an Australian Centre for Photography travelling exhibition. 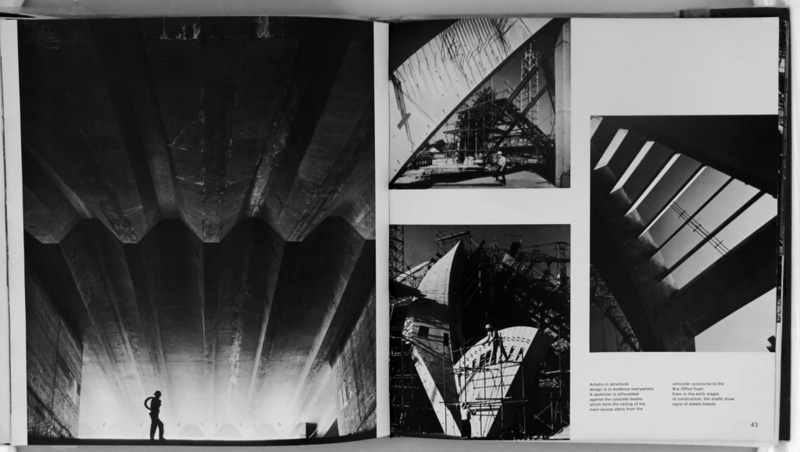 Perhaps the last example of this heroic mode is David Moore’s own documentation of the building of the Glebe Island Bridge, published in 1996. However, in 1978 one company, CSR, saw the advantage of uniting the benefits of the corporate philanthropy of Philip Morris with the opportunity to directly document the variety of their industrial activities. The story goes that they originally contacted the Australia Council to help them find a painter to celebrate the centenary of their Pyrmont refinery with a great big painting of the refinery. The council steered them toward getting more bang for their twelve thousand bucks by spending the same amount on a group of six photographers. 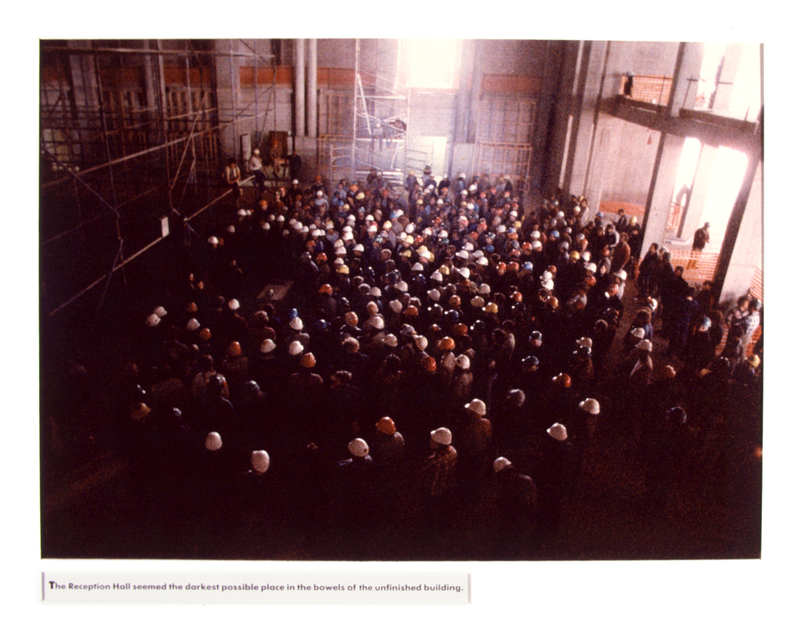 The project, auspiced through Christine Godden, director of the Australian Centre for Photography, went on for a further four iterations. 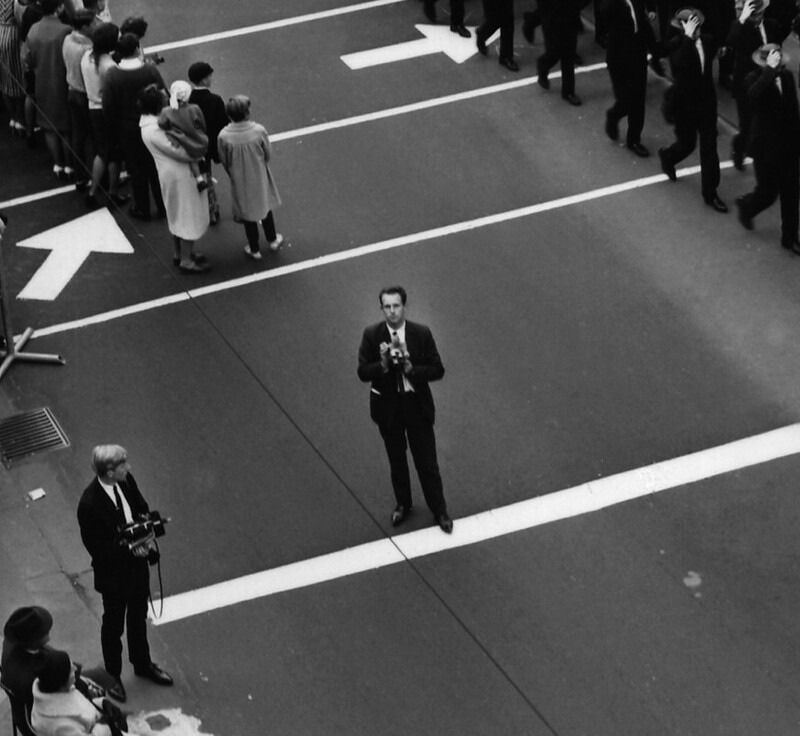 The project was structurally very similar to the future Parliament House Project, it commissioned emerging photographers, but also featured established photographers ‑ even towards the end getting Max Dupain to reprint some images originally taken in the 1950s. The emphasis was on a variety of approaches, from the traditional fine print to the more art school trained style of creative photography. Thus in 1978 Sandy Edwards broke the masculinist mold of the previous heroic mode by photographing the multicultural women on the production line. 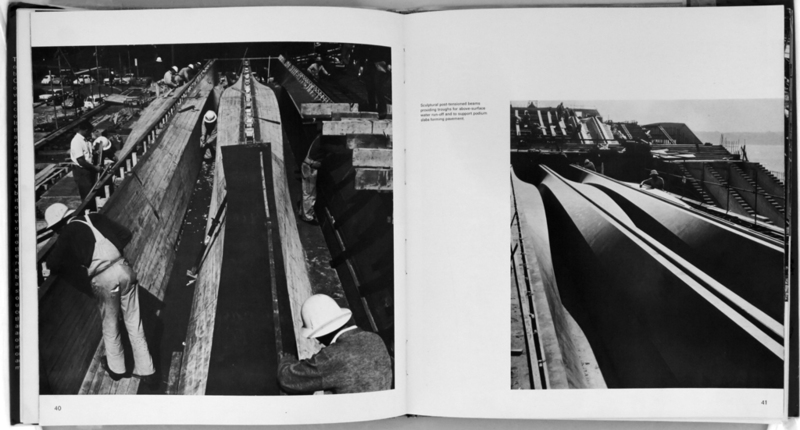 Micky Allan also broke the heroic mold of picturing workers as a mere manifestation of the Modernist imperative by incorporating noise andvibration — stilled in previous industrial photography — in her production line photographs. 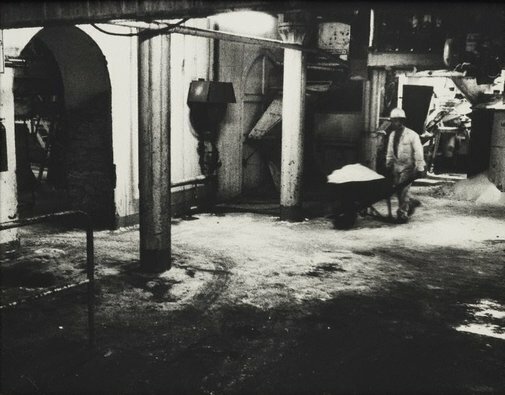 Even Bill Henson enveloped the younger workers in his trademark entropic twilight, making them not the vigorous propellers of progress, but the romantic bearers of a lugubrious weight. David Moore even assembled portrait-rows of them, matching the leatheriness of their multicultural faces with the marks on their multifunctional gloves. 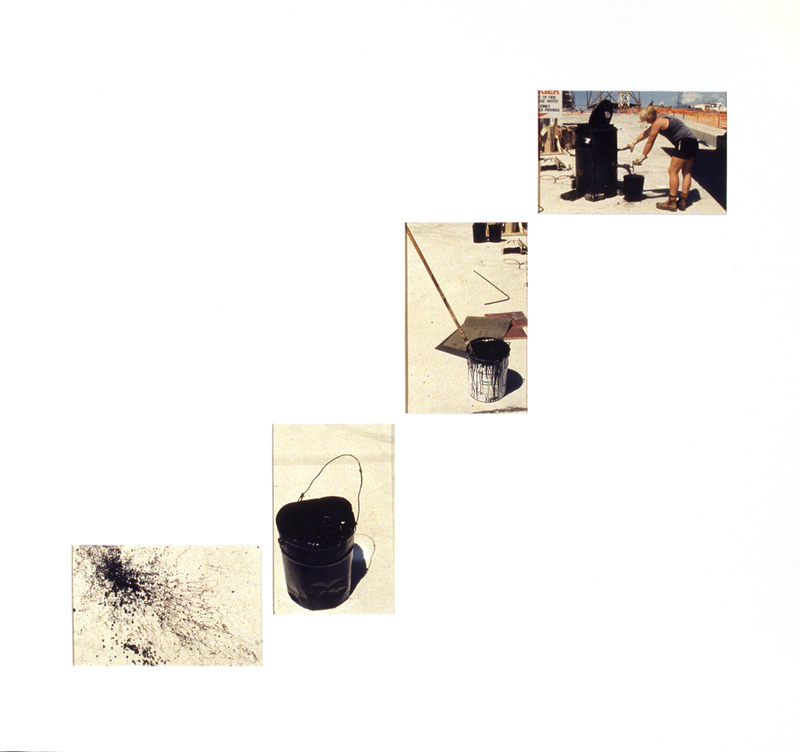 Also notable in the CSR collection was some of what was called at the time ‘constructed photography’, exemplified by Debra Phillips, who a decade before photoshop blended two separate photographs into the one experiential landscape; or Merryle Johnson who made multiple-viewpoint scenes of ordinary life. 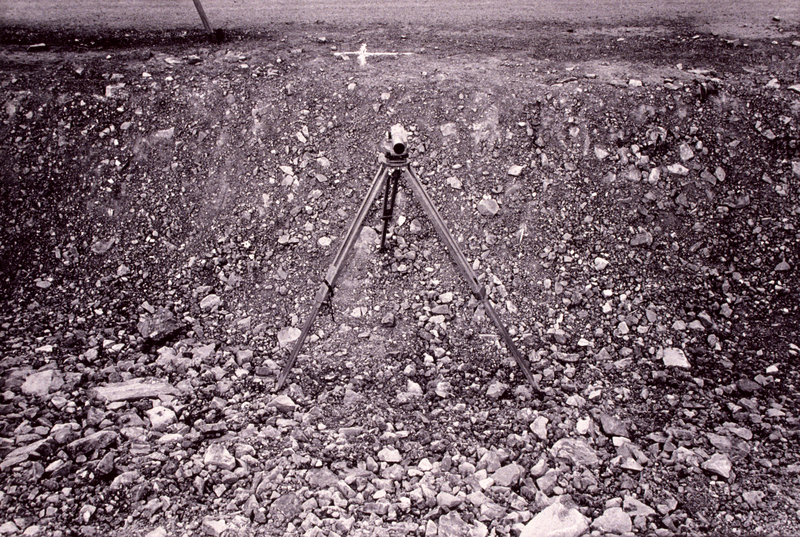 However the CSR commission also gave the opportunity for photographers like Grant Mudford to explore the formal properties of the medium using industrial materials and gravel. The Parliament House commission had a lot in common with the CSR commission, and many photographers who worked on Parliament House had previously worked at CSR. However some, for instance Bill Henson, who worked on the CSR commission unfortunately did not come back for Parliament House, I wonder what he would have done if he had? 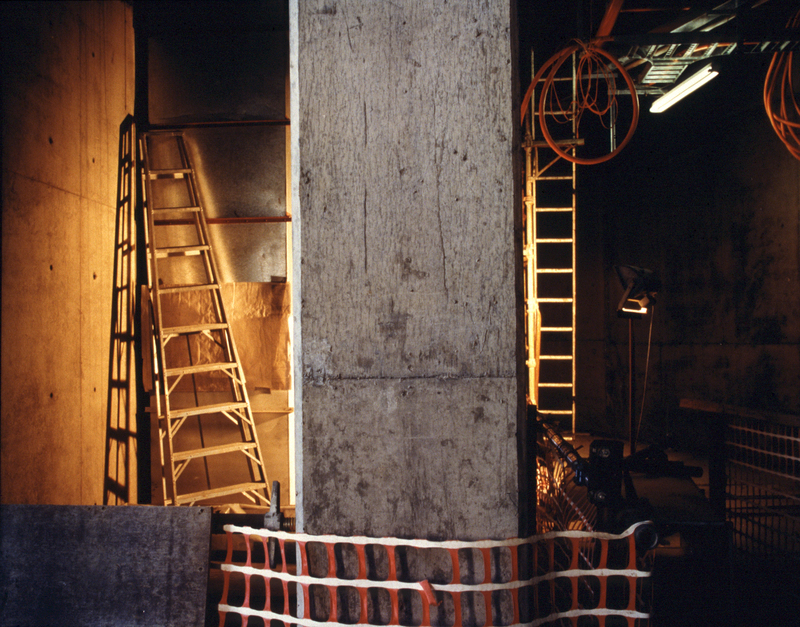 Many of the twenty-eight photographers who shot on the site around the year 1986 worked in a hyper formalist style. One example amongst many is Tony Perry who revelled in the mud and hard shadows, and formally played the white of the concrete off against the dark patterns of reinforcing mesh. For others, like Steven Lojewski, on-camera flash often flattened space, and horizon lines were often pushed way up to force a tension between the 3D space depicted in the image, and the 2D surface of the print. To anybody who lived through this period this is all very, very, familiar, but scrolling through the images now the viewer feels the clench of a claustrophobic air. But nonetheless this style dominates the collection. Other examples in black and white are: Fiona Hall, Glen O’Malley, John Elliot and Charles Page ; and in colour: Douglass Holleley and Ed Douglas. 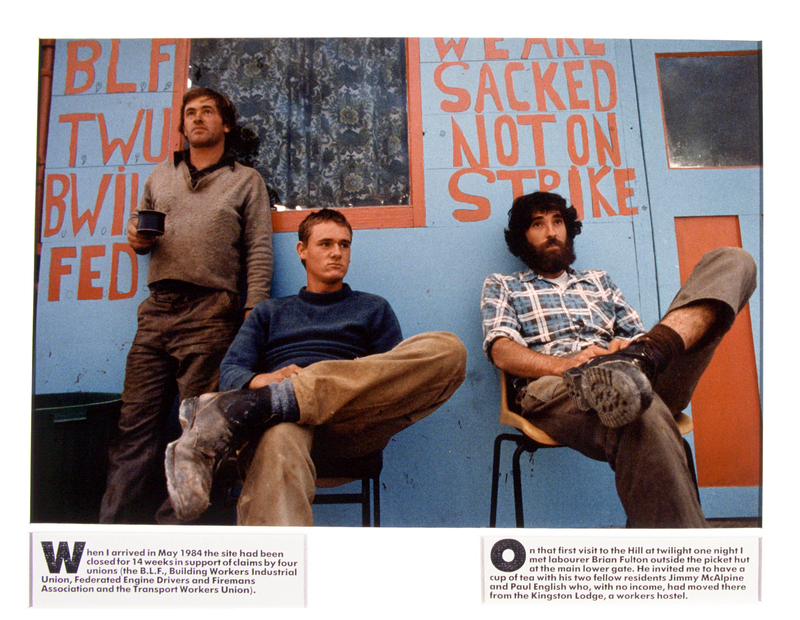 In many of these shots workers are excluded entirely, and in others, such as Fiona Hall’s, they are reduced to tiny ciphers. Only some photographers seem to capture the full scale and spatial weirdness of the building, most notably Gerrit Fokkema who gave his photographs his trademark surreal irony; and Debra Phillips who seems to have begun her photography by responding to the spaces she entered, rather than imposing her own pre-determined formal sensibility, like a net, over the spaces she looked down into— which many of the other photographers seemed to do. This was a national commission, photographers went anywhere in Australia from which Parliament House’s construction materials were sought, but there was a politics here too. 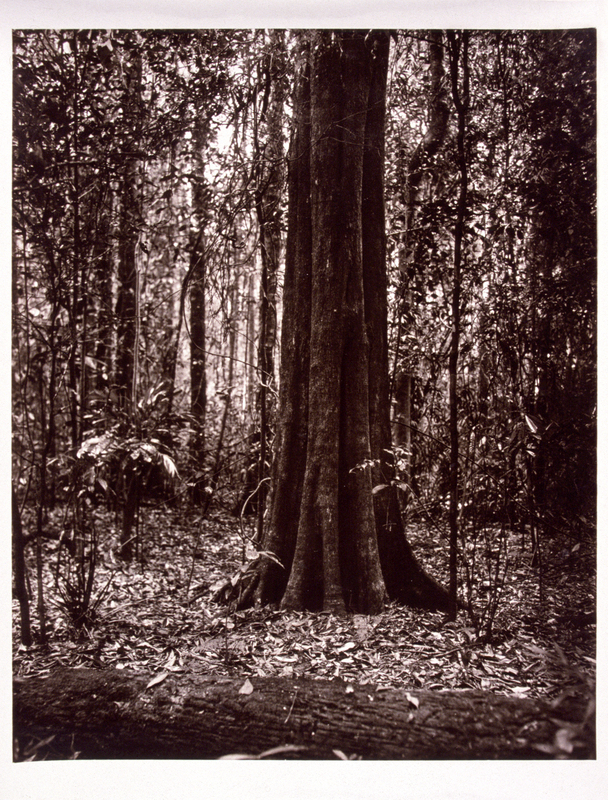 Take for example the sourcing of timber: Anthony Green photographed the dense Huon pine forests of Tasmania as though it was just another formalist exercise, and Richard Stringer’s photographed in the jungles of Kuranda, in far north Queensland, as though it was a postcard; but Gillian Gibb took individual tree portraits in Tasmania, baptising each one with their proper botanical name. 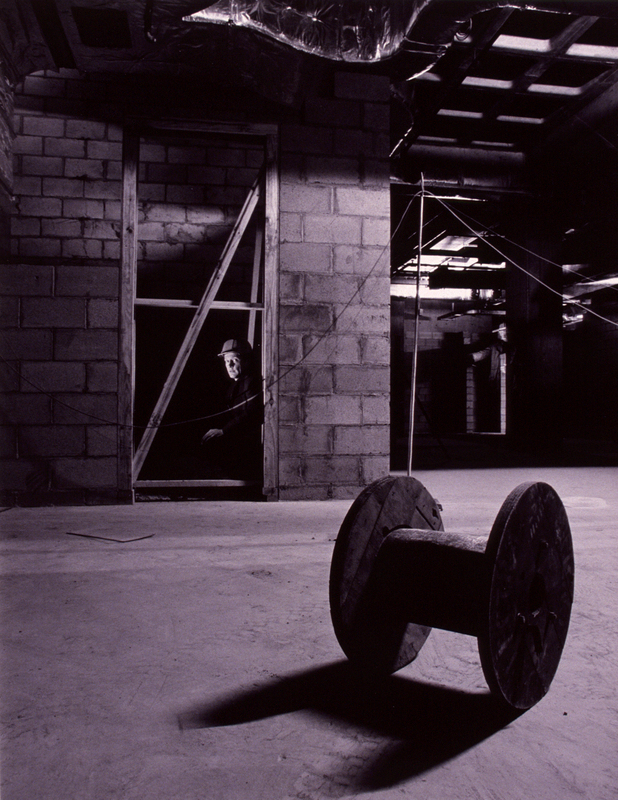 Workers are not excluded entirely: Mark Kimber did Sanderesque portraits of them, while Richard Woldendorp and John Williams photograph them emeshed in their environment. 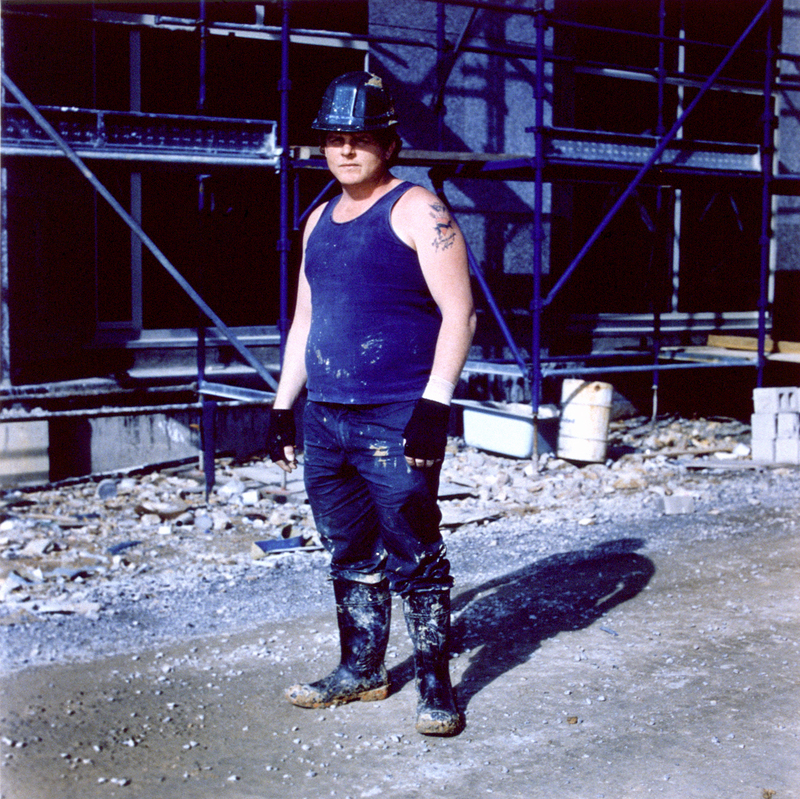 (It is only after a little while that we realize with a shock what is missing from these twenty-five year old images of workers, where are the hi-viz vests, today’s instantly recognizable symbol of labour worn by everyone from the prime minister down— here totally absent?). Merryl Johnson, one of several overtly feminist photographers who were chosen, places them as part of a dynamic environment. 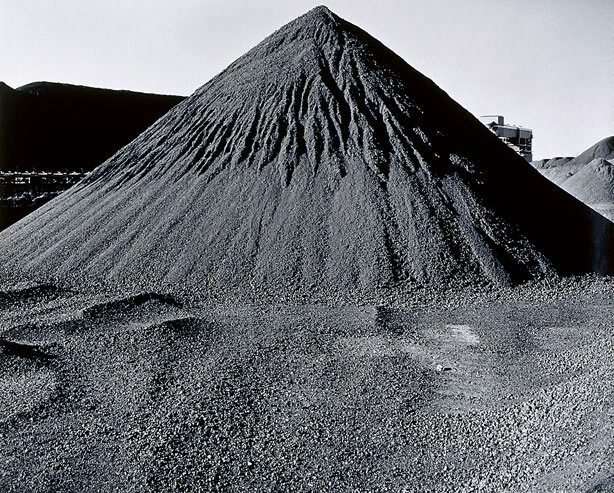 So, in these collections we can see larger political dramas — between feminism and patriarchy, between environmental consciousness and the perception of nature as imply a ‘resource’, between the historical project of modern development and the human experiences caught up in it — directly played out in the dialogue between the photographs. Zahalka has inherited all of this. She, like photographers before her for over a century, has imported the logic of the studio into the workplace. Make no mistake, hers is an industrial photography. She, like photographers before her, has had to work out where to find the ‘dignity’ of labour. Not in the heroic tradition, where a worker’s labour and therefore their dignity is merely a product of a historical project far greater than the individual; and not either — at least in this case — in an oppositional tradition where the worker is cast as an actor in another historical drama of oppression resistance and rebellion. But rather, somewhere between them. Posted on June 20, 2014 by martynjolly. 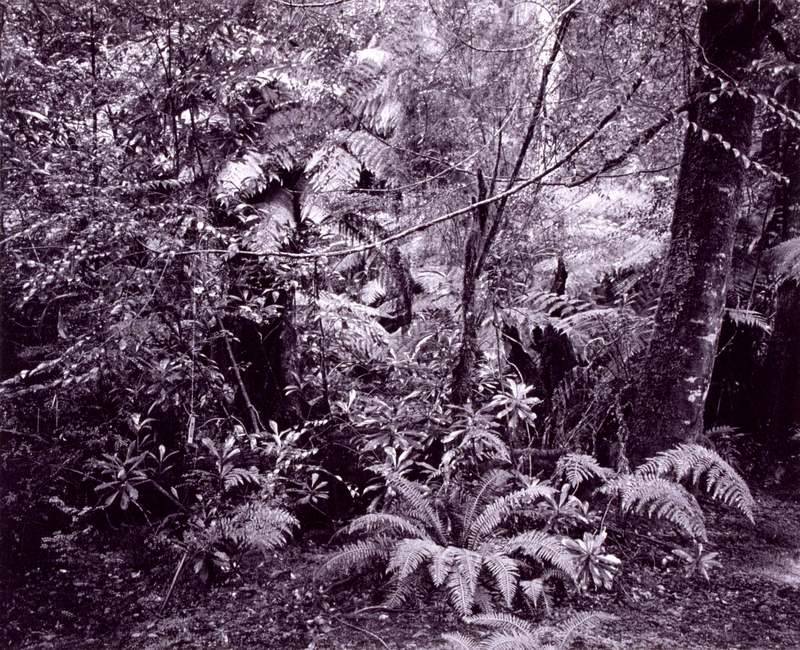 This entry was posted in Blog, Writing and tagged 1980s Australian photography, 2014, Australian photographers. Bookmark the permalink.